Our professional London tilers have a wealth of experience which allows them to undertake any of our customers wishes; these include any format of tile fixing i.e. 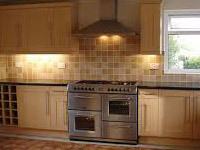 mosaic, diamond, brick, Victorian or any design that a customer may request. This also applies to the type of tile that will be used, from slate to ceramics, natural stones, marble and porcelain, glass, granite limestone and quarry. Our London tilers work around the clock to fit around your schedules and timescales. monitored business, and those whose services are checked on an ongoing basis.